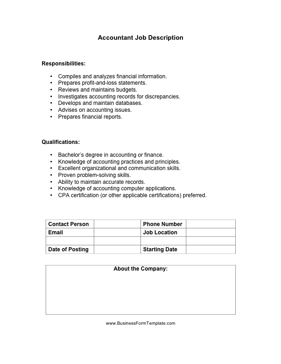 This accountant job description covers the basic responsibilities and duties of employees who are pursuing careers in finance. Investigates accounting records for discrepancies. Knowledge of accounting practices and principles. Knowledge of accounting computer applications. CPA certification (or other applicable certifications) preferred.